​If you are highly motivated, hard-working, and want a career rather than a job, E&M Services would like to meet you. We are actively seeking people who have a passion for the oil and gas industry and want to work for a company who operates in a fun, safe, and family oriented environment. We offer competitive compensation and one of the best benefit packages in the Bakken oilfield. 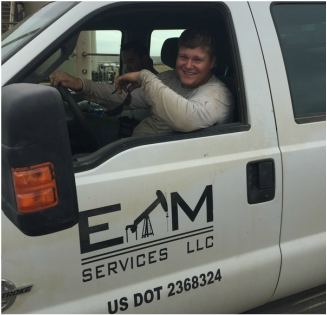 E&M Services is an equal opportunity employer with a firm belief in providing our employees with every opportunity to advance in their trade. Our guiding principles are based on safety, dependability, and outstanding customer service. If you want a career where you can make a difference, we are eager to have you join our team and share your knowledge. ﻿We are a family oriented company that strives to safely provide quality, dependable maintenance and construction services to the energy industry. While working alongside our customers, we push ourselves to meet and exceed expectations through consistently aligning ourselves with our core values. So if you feel like this may be a position and company you would like to be a part of please feel free to apply and start on the path to becoming part of the family.